After being awarded her Licentiate of Trinity College London Diploma (LTCL) in Pianoforte, Wyomia began entering candidates for the Trinity Guildhall music practical and written examinations. Wyomia is also a professionally trained Music Therapist, with a Master of Music Therapy (MMT) degree from Nordoff-Robbins, London. 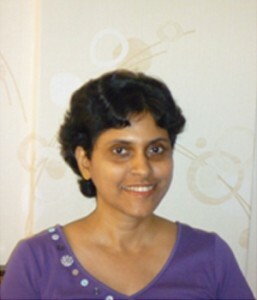 Since December 2003 she has been pioneering music therapy in Mumbai, and working with children and young people with an array of special needs. Wyomia also holds a Bachelor’s degree in Homoeopathic Medicine and Surgery (BHMS) from Bombay University. Whilst she no longer practices as a Consulting Homoeopathic Physician, she continues to draw on her knowledge of medicine in her music teaching and music therapy practice, both of which are very dear to her.